I wanted a ski that could handle ice, windblown, sastrugi, chalk, mashed potatoes, styrofoam, basically any condition that I wouldn’t want to haul the Caylors around in. The Viciks caught my eye because of the modest waist width, tip rocker, stiffness and flat tail. Thanks to the slow start to the season I was able to ski the Viciks in a variety of conditions; They did not disappoint. The Viciks are chargers, no two ways about it. They prefer medium to long radius turns and demand speed. In true ON3P fashion, the skis are ultra stiff. They blast through crud and heavy snow, and are super stable while going mach loony on the groomers. I de-tuned the rockered portion of the tip and didn’t experience any weird hooking that others reported with last years model There is just enough tip rocker for float, but not so much to reduce the effective edge and inhibit stability. They ski powder surprisingly well also. As long as you maintain speed and momentum, the Viciks float to the top and stay there. Hardpack is where these skis really shine. The edgehold they have on steep, icy sections is unreal and confidence inspiring. This could very easily be a quiver of one, for the skier who wants a universal charger, and like other ON3P skis, the construction and durability is bomber. They do well in the skin track; The rocker keeps the tips up top and the flat tails are nice for skins. Not the lightest option, but when conditions are questionable, I know the Vicik will deliver. In closing, this is a dependable ski that will take you anywhere you want to go. It may be a tad stiff for the non-aggressive or lighter skiers. This is not a jibby ski, it’s all business. Having said that, this is the ski I grab for steep chutes or technical terrain when I need a ski I can count on in any condition. 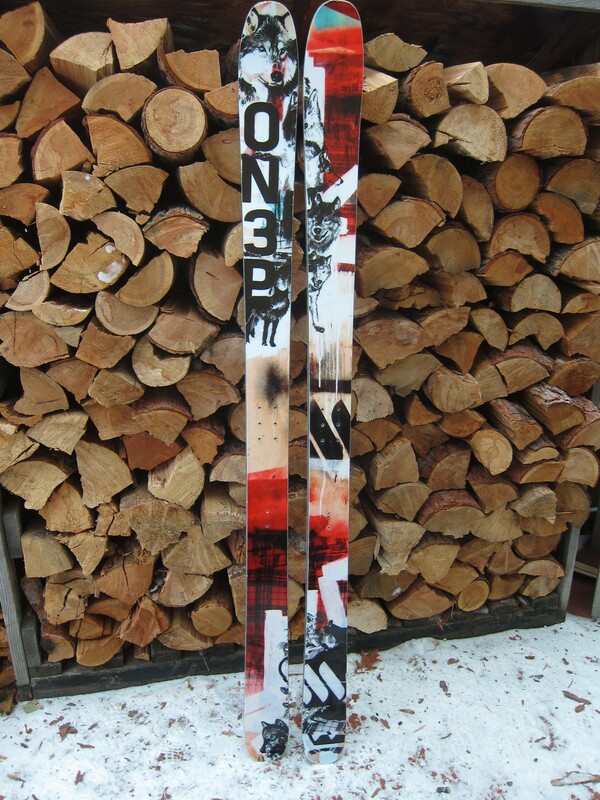 This entry was posted in Gear and tagged backcountry skiing, ON3P Vicik, ski review by Lee. Bookmark the permalink.